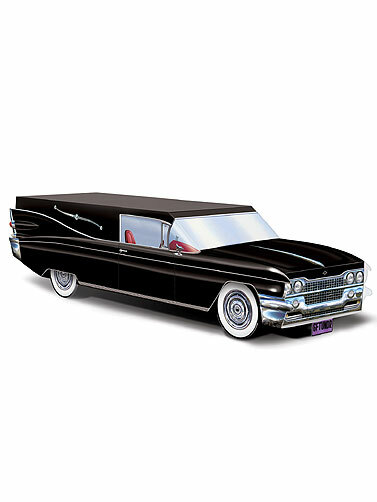 Place this Hearse Table Centerpiece at the center of your Halloween party table for an unforgettable table centerpiece. Perfect for Halloween and Over the Hill parties. Paper cut-out decoration requires some assembly. Hearse Table Centerpiece measures 13.75"L.